Custom Military rings for all branches of the US Military, these Custom military rings can be personalised to include side emblems of all the major US Military formations of today, this include the rings for the Army, Navy, Air force, Marines and Coast Guard. With our Custom Military Rings you have a range of customization options including: Metal type, Rings are made from materials such as, gold, platinum, vanadium and silver these custom rings are also very durable and can be worn in any harsh environment the Solider is deployed to. Other personalization options for these Custom Military Rings Include The ability to choose two unique side emblems that can represent a unit insignia or deployment decal, also a personalized engraving on each side, a stone color, the stone cut and wording around the stone, There are 14 colours of stones to choose from, as well as various shapes. 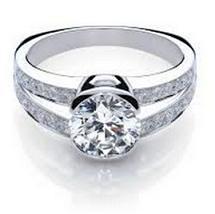 The inside of the ring band may also be engraved with a date, name, or message, as well. 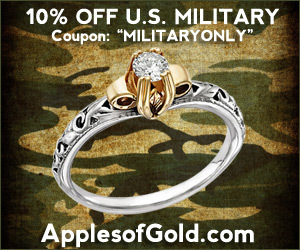 How to order a custom Military Ring? You can order your chosen ring here online in three easy steps ( all major credit cards accepted ), then have it shipped direct to you or your soldier no matter where they are deployed around the world.